Add new Version to the selected Product. 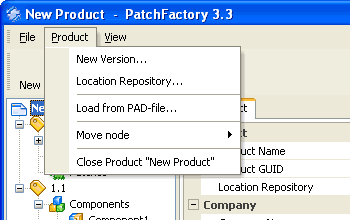 Import Product information from PAD-file*. Move selected Product node Up. Move selected Product node Down.